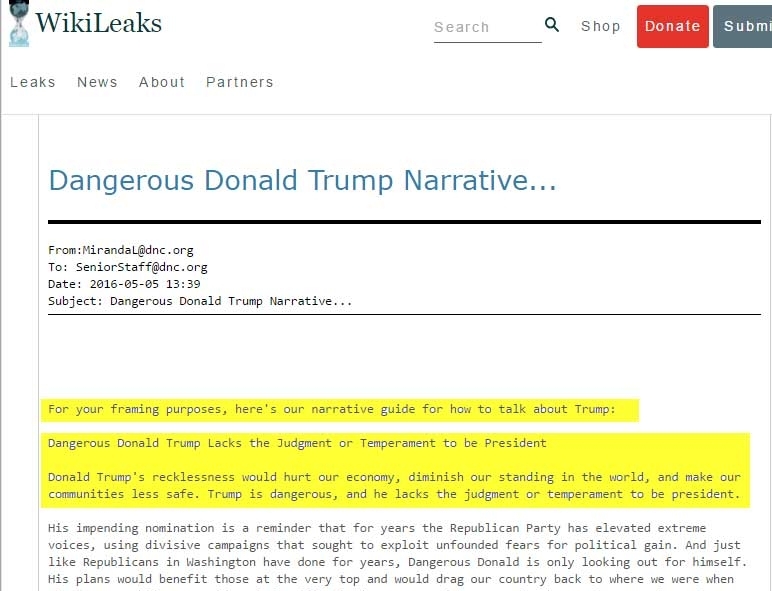 In one disturbing email exchange, the DNC boasted that they could get NY Times reporter Nick Confessore to bury references to Hillary Clinton’s Hillary Victory Fund, in order to promote her as the favourible candidate during the recent Democratic primaries. 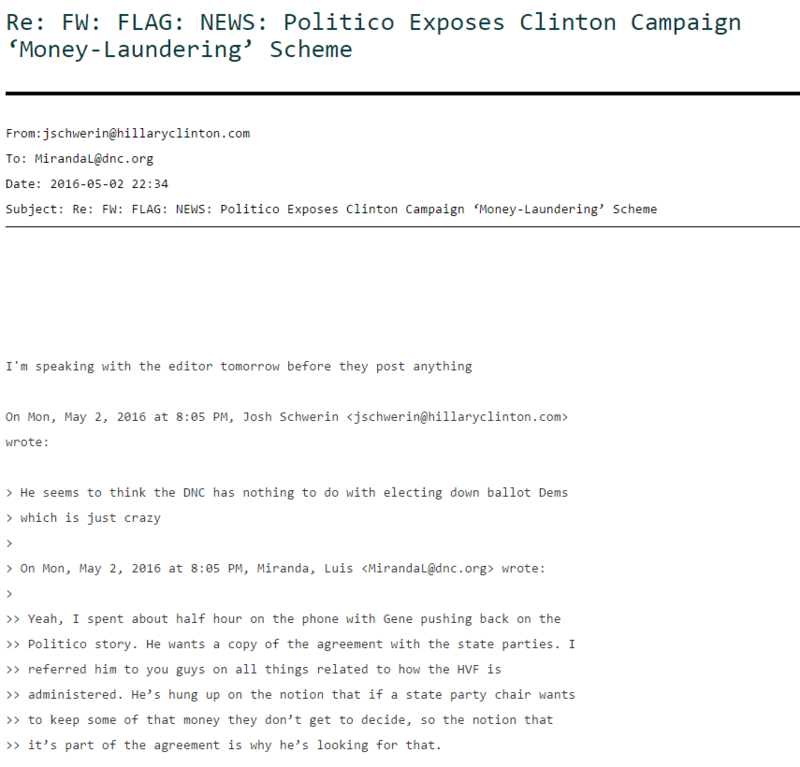 The DNC prepared talking points, excuses and legal defenses to respond to claims that the HVF was bundling campaign donations to skirt legal limits (a “money laundering conduit” according to Politico. Walmart’s Alice Walton and Hillary’s other billionaire donors could now give 33 times the max donation, all in one convenient envelope. As George Clooney noted, the donation amounts were “obscene”, but to make them legal, they were routed through the HVF to get around campaign finance law prohibiting the wealthy from giving exorbitant amounts to a single candidate. The DNC did not want this to get out. MONEY MAN REVEALED: The same lawyer who wrote legislation gutting America’s campaign finance limits in a last-minute amendment inserted into the 2014 “Cromnibus” bill intervened to prevent the NY Times from reporting on details of the $90+ million Victory Fund on behalf of his client, Hillary Clinton. CONTROLLING THE NARRATIVE: The DNC claims the fund is nothing new, and the Bernie campaign also was offered the chance to take advantage of a 33-state fund of his own, to make state-based donations more “fungible” with his national campaign’s war chest. Bernie declined. He wasn’t yet concentrating on down-ballot fundraising, but it turns out Hillary wasn’t so much either, taking 99% of HVF money to build “national infrastructure”. When Politico reported this, the DNC circled the wagons, trying to prevent the public from learning more. DNC staff routinely recommended radio silence about Hillary’s ties to Wall Street contributors to keep the public “ignorant”. 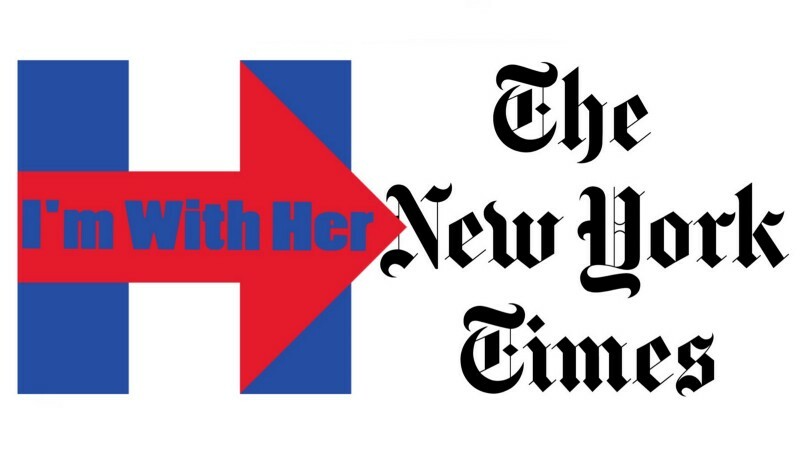 INTIMIDATION TACTICS: How did the campaign get the Times to “back off”? On top of DNC pressure, there was also an off-the-record meeting planned between Debbie Wasserman Schultz, Confessore, and his superior, NYT Senior Political Editor Carolyn Ross. But there was more. Confessore also “backed off” because of Marc Elias, the most influential election finance attorney in Washington, dubbed “the man behind the political cash grab” by Politico after being credited with single-handedly jacking up campaign contribution limits for the rich from $97,400 to $777,600. HYPOCRISY ALL AROUND: Mr. Elias changed US elections by introducing new “allowable expenses” in the closing hours of a trillion dollar must-pass budget bill moments before the Democrats would lose control of the Senate. Confessore himself had reported on Mr. Elias in 2014 and 2015, noting he was seeking to “exploit the loopholes and legal gray areas”. The gut-wrenching last minute deal was struck by John Boehner, Mitch McConnell and Harry Reid who claimed to oppose large campaign donations. Obama was urged by good government groups to veto the budget bill because of the new loopholes, but had no wiggle room in the zero hour. Confessore reported at the time about this massive giveaway to the wealthy. So the Bernie contingent was going to get serious proportional representation in the standing committees. This as we know now, resulted in the most progressive DNC platform in history. This was a far cry from informing the public (and donors) how the joint fundraising setup was actually a free-for-all for the rich. Even more oddly, Confessore started to cover DNC leaks stories with any mention he is mentioned in them, making this a whitewash of a whitewash. 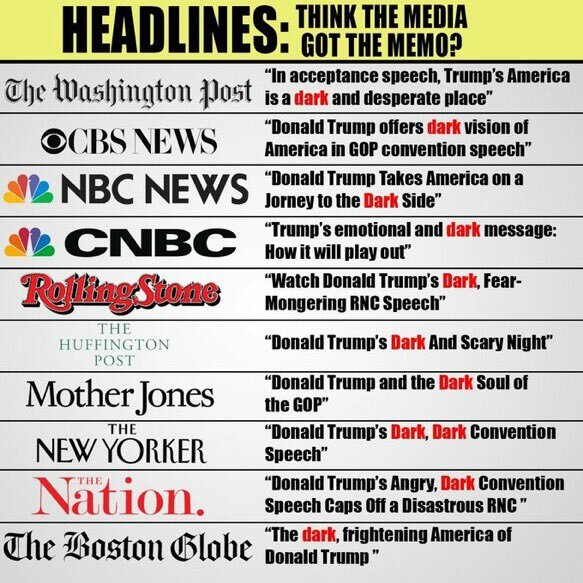 Media assets cannibalizing each other or spreading the DNC fear-mongering narrative? likely the latter. 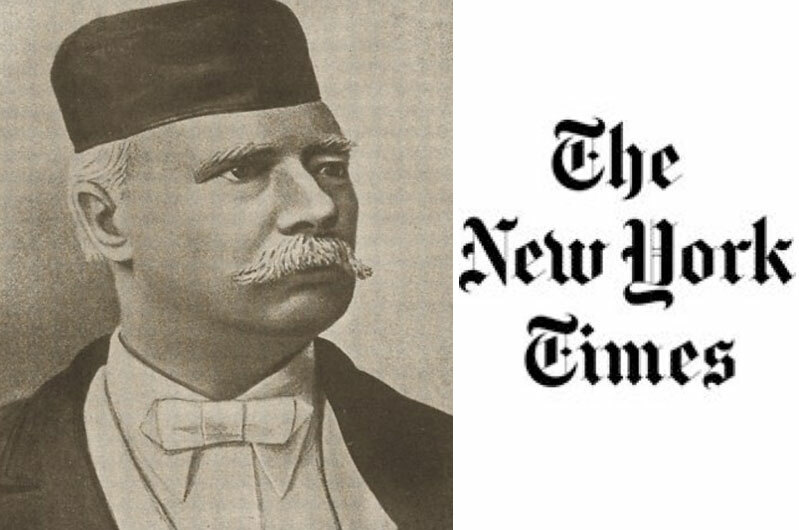 Evidently, the Times posted a different version of this article before Confessore updated it. It would seem no one screen-grabbed the original piece. Confessore did not reply to a request for comment via Twitter. The Times was already busted stealth-editing during crucial Super Tuesday primaries, with their respected ombudswoman Margaret Sullivan admitting anti-Sanders bias by Times editors shortly before quitting her job. The DNC was complying after Sanders threatened to mobilize delegates at the convention if the standing committees were to be stacked with Hillary surrogates. As reported this week, the Hillary campaign was changing their tune throughout the convention to avoid embarrassing walk-outs and protests by the Bernie contingent. Even up to the last second, deals were being made to assuage angry progressives so they wouldn’t spoil Hillary’s big TV moment. Many were surprised to hear Hillary hypocritical promise to “get money out of politics” the same day she took in $45 million from hedge fund managers. TEAM MADDOW ONBOARD: This was a rare peek into the role the NY Times played in burying the Hillary Victory Fund story, further confirming how major media conspired to ensure a Hillary win during the 2016 primary. 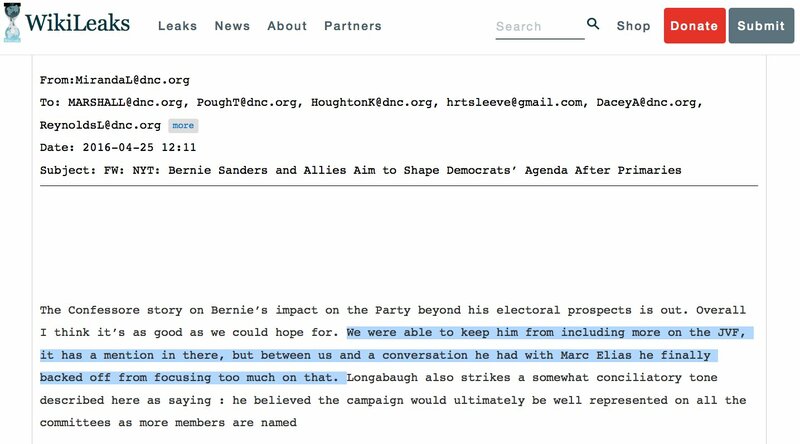 Another leak suggested MSNBC acquiesced to the DNC as well, stating that Rachel Maddow producer Steve Benen incorporated language supplied by the DNC and the Hillary campaign in an article meant to paint Bernie Sanders supporters as destructive to the Hillary ticket or even violent. The NY Times also ran with a similar narrative after the DNC pushed fake accounts of “violence” at the Nevada convention including false reports of thrown chairs. In January, Maddow was defending Bernie Sanders, refuting Hillary’s claim he was the first to “go negative” by bringing up her Wall Street contributions. 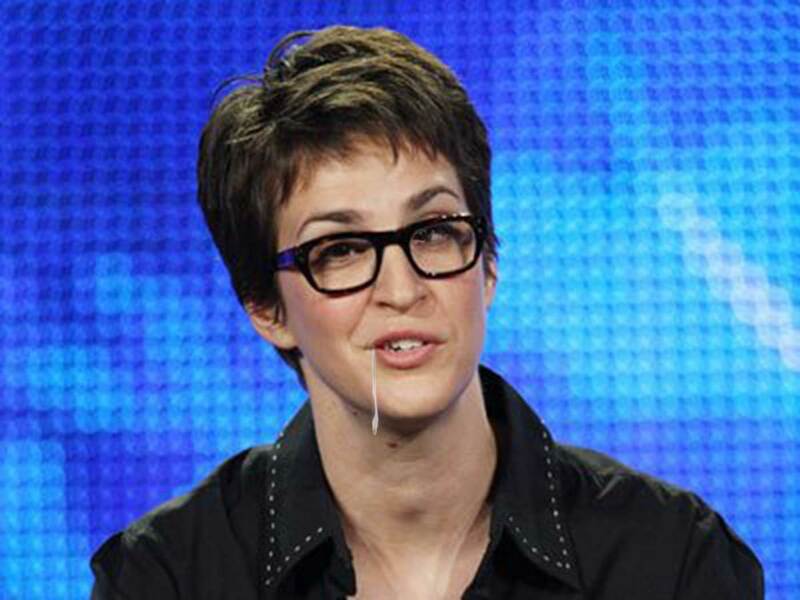 Maddow did this right to Hillary’s face, in fact. But following an off-the-record meeting between DNC brass and MSNBC president Phil Griffin, Maddow by mid-May began urging Sanders to drop out of the race on the air, and even played a stock footage clip of flying chairs to support accounts that Bernie supporters got violent and threw chairs during the Nevada Democratic Convention. Those accounts have since been proven false. Maddow continued withering attacks on Sanders for weeks, even reading anonymously sourced hit piecesa bout him on the air as she beat the drums for his concession. In light of the damning leaks, the DNC has fired four officials to date, but the media hasn’t yet confessed to slanting coverage to favor one candidate.